Takamine are well known for producing quality electro-acoustic guitars. What first began as a small family business has evolved into one of the leading guitar manufacturers in the world, depended upon by some of the best players and biggest names in the music industry. Takamine had its early beginnings while guitar playing and music was gaining popularity in Japan during the early 60’s. As their business grew they saw the need to develop their skills and attract design and manufacturing talent. One of the most important additions to the company was one Mr Mass Hirade. Hirade joined Takamine in 1968 and made great improvements upon design and build quality, setting forth with his staff to energize and strengthen the business. The factory began producing their world class “Classical” that to this day still carries the Hirade name. Overseas trading began in 1975 and Takamine entered full-scale development of acoustic-electric guitars in late 1970’s being one of the first companies to introduce such models, where they pioneered the design of the preamp-equalizer component. 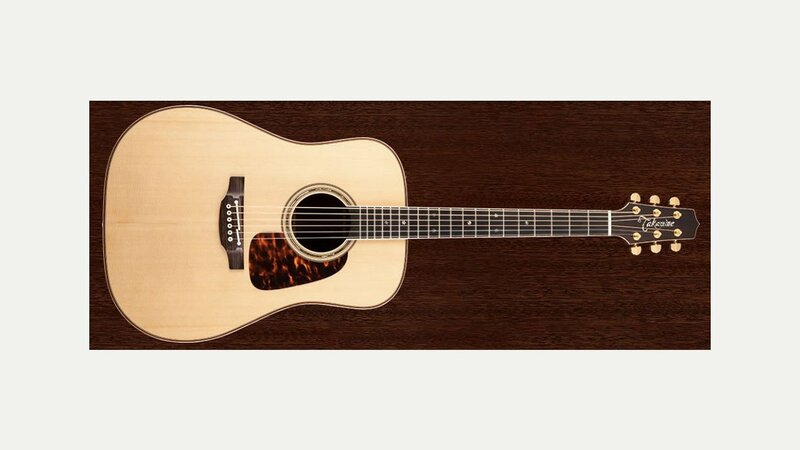 Every year since 1987 Takamine presents a Limited Edition Guitar model, which gets produced in very limited quantities up to a few hundred guitars for world wide distribution. These guitars always come with the latest pickup/preamplifier combination available and artful inlays, often with motifs focusing on nature or astronomical phenomena.